The Ford Ranger is New Zealand’s most loved Ute, named the number one selling vehicle for the second year running. 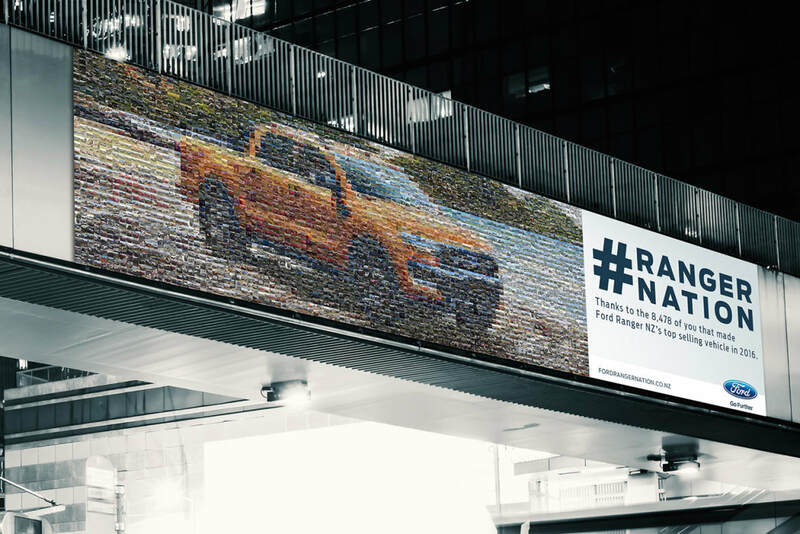 To keep the first rush of excitement alive, we wanted to turn the rational purchases of the Ranger into an emotional attachment to the Ford brand. We knew that Ranger owners love their trucks. 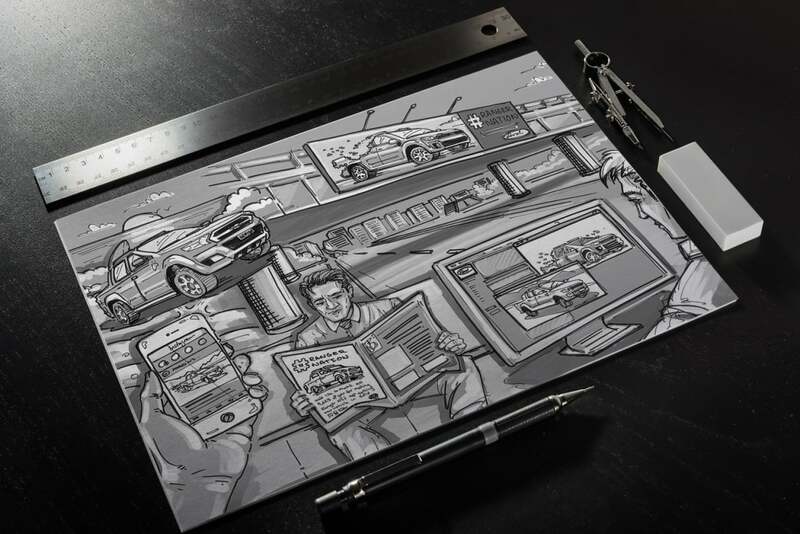 They accessorise them and proudly share photos of their utes on social feeds. We wanted to keep their passion alive by reminding customers why they fell in love with their trucks in the first place. 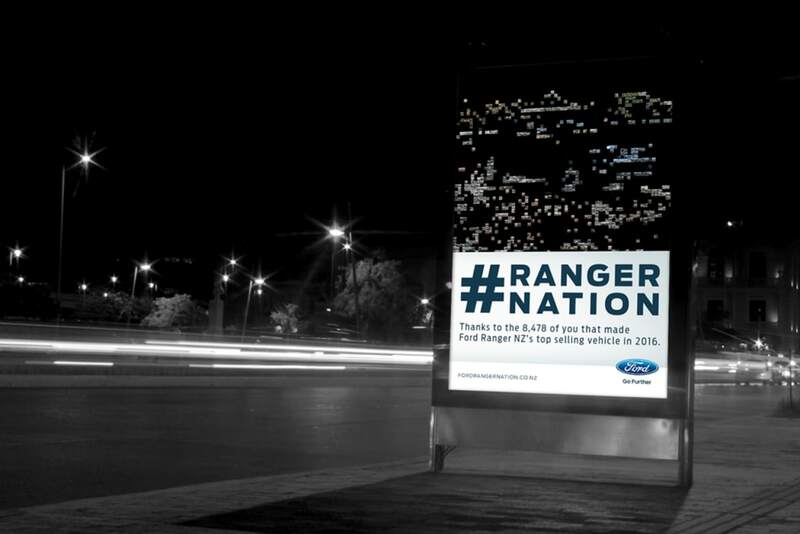 So we launched #RANGERNATION, the ultimate club for Ranger owners to showcase their pride in ownership. 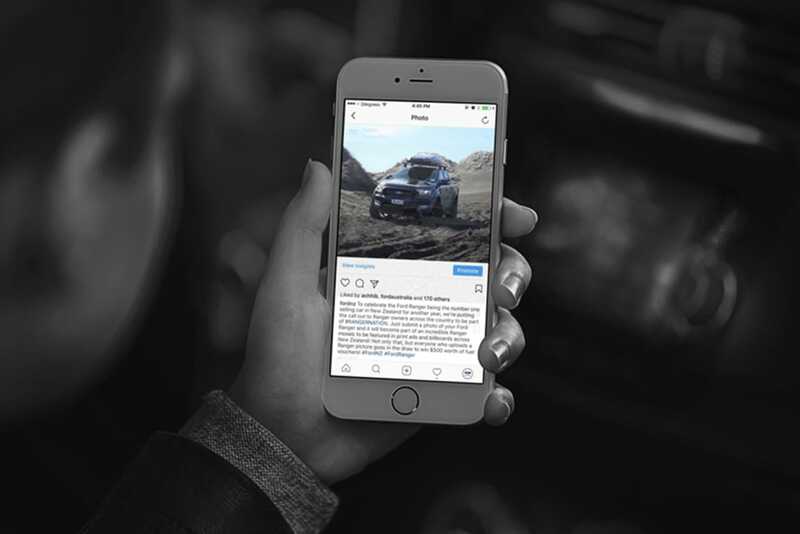 Through a microsite for Instagram and Facebook, 1000s of Ranger owners submitted images of their prized Utes. 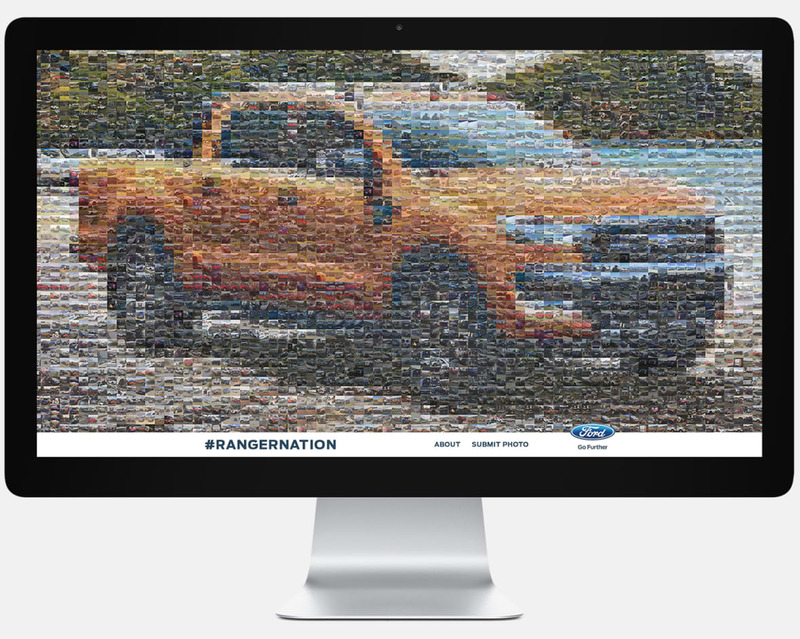 From these images we created a spectacular mosaic Ranger building in real-time on billboards around the country. We then created a nationwide print ad featuring the final image to explicitly thank all the Ranger owners for keeping Ranger #1 in NZ.